Having read many positive reviews, I was still skeptical... upon check in, the staff from the reception was got us a sea view room with balcony just like we have requested ... the check in was swift and pleasant ... the room’s great with a palm view room ..there was some construction , which did not bother us .. breakfast @ thyme is great .. the staff was attentive & very good was of great selection ... we had a late flight & Priyanka offered us a 230pm check out time & an invitation to stay around sky bar till we depart .. which we really appreciated... it’s our 1st time in Dubai ...and we are really Glad we trusted the reviews from all the kind souls .... loving it here ...will definitely recommend it! Our family of four enjoyed staying at these spacious apartments for three nights. Great value for money and the location near the beach and marina is pleasant. Staff were very helpful and friendly. We would return. Every thing in the hotel is nice and perfect except one incident happened from the resturant staff during the breakfast, I paid the breakfast to 4 of my guests during the check in, the front desk didnot give me receipt for the payment, I called them from the room in the night regarding this issue they told me just to give the room number at the resturanr, but in the second day the resurant staff disturbed my guests three times in front of other hotel guests and ask them to pay the breakfast because the payment is not shown in the system, my guests told them that they didn't bring money down and they can claim the money during checkout although there is a deposit of 400 USD paid at the front desk in addition to seperate payment for the breakfast. The hotel staff ask my guests to go upstairs to their room and bring the money and they will send with them one of their staff, such incident is shamful and not an ethical attitude. The location in the Marina is very expensive so if you are a family you may want to consider another area. We did not want to cook in our apartment so we had to rely on eating out and found the surrounding restaurants very expensive. The beach was very close so that was good but lots of construction going on at the moment. I could not fault the staff or the cleanliness on the room. It was impeccable! Thank you for an enjoyable stay. The staff was absolutely trained well to give the best service to their guests. Also enjoyed talking to the very friendly duty manager, Erwin Narito. We were a family of 11 with child as young as 3 and elderly as old as 78. The location and room comfort was just amazing! Stay here if you want to appreciate Dubai! As excellent property on the beach front. It offers a good mix of privacy & leisure with good restaurants and beach activities all around. The staff are very polite and warm especially the front office team. Strongly recommended property for families and group travellers. I would like to thank the hotel for being so nice, apartment was good, clean as usual . I will always stay at the same hotel. Wish you best of luck. Great stay at the JA Oasis Beach Tower Apartments. From the size of the suites to the attention to detail of all the staff. Worth the upgrade to stay on a higher floor with access to Premium lounge, laundry service and full buffet breakfast. Would definitely stay again. Close to beach and tourist attractions. Great variety of restaurants in close proximity. Relaxed and very safe atmosphere, caters for all age groups. Staff are amazing and do the utmost to ensure there guests are happy. 2nd time I have stayed there this year and I cannot wait to return. The facilities were great especially for families. 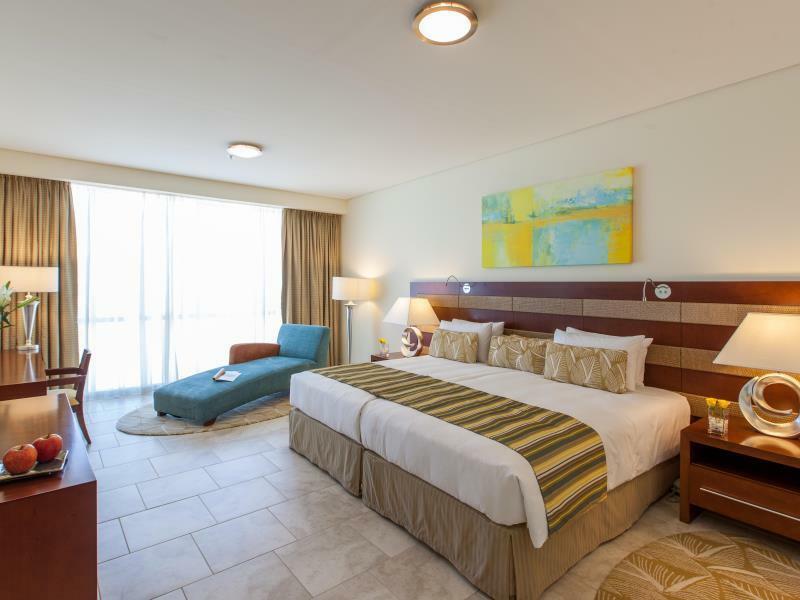 Location is very good to the beach, places to eat and within walking distance of dubai marina. A bit pricey but the rooms were massive with lots of complimentary items. Very clean and friendly hotel. Loved the gym facilities. Pool area. Close to the beach. Large rooms. 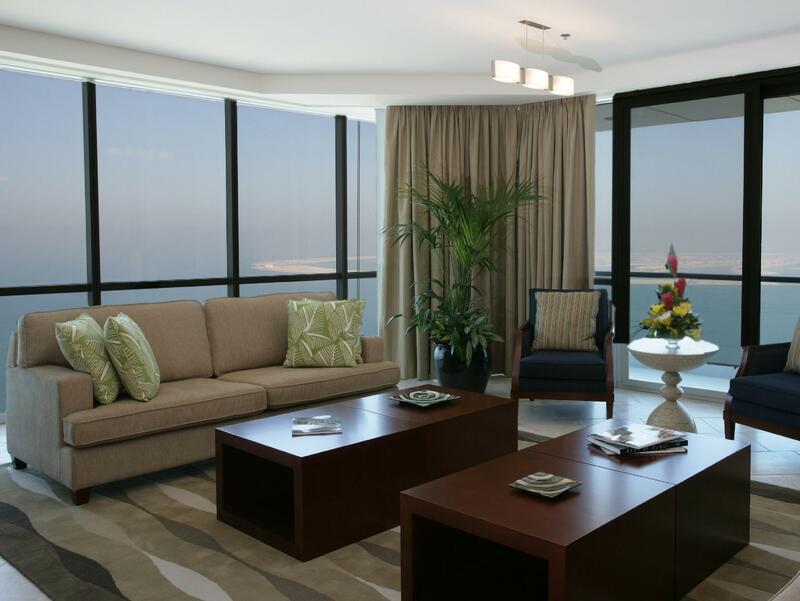 We had a very good stat at JA Oasis Bach Tower Apartments. 4-bedroom apartment was big and well suitable for being two families living together, without steping on eachothers toes. Huge beds and very clean rooms was also a big pluss. The pool area fetures two swimming pools, two yakuzies and a chidrens swimming pool with a slide, so the hotel had everything we needed to stay there without leaving the building. However the public beach just 5 minutes walk from the hotel made it well worth laving the hotel. The possibility of loaning umbrellas, beach mats and beach towles was also a big pluss. The only thing on the negative side was the training facilities. If you only would like to mowe iron they are ok. But the tread mills for cardio workout were of very bad quality or worn out, as they stoped at their own convenience, slowed down if you ran with inclination (with out showing it on the speed display) etc. The hotel should provide new ones of good quality to make theses facilities as good as rest of the excellent experience. The stay was fantastic. The apartment was huge, clean, and they provided basic food and snack requirements (as well as water) that was greatly appreciated. The location is right on The Walk at JBR and the was essentially above a large number of restaurants, and in front of the Marina, so amenity was all around. The staff were excellent, helpful and the free shuttle bus to the malls and key areas was extremely convenient. Stay was excellent in many regards. My one serious complaint is the wifi situation. it was only available in the living room. My expectations for what I am paying for is wifi coverage throughout the whole unit. Also, the wifi was extremely slow, and required me to use my phone's data plan instead on quite a few occassions. Had an excellent stay at JA Oasis Beach Tower Apartments! The perfect apartment for our group of 4 girls! It was so spacious, the welcome food in the apartment was delightful, the staff friendly and very helpful, across from the beach, near the marina and you can go to the sister hotel pool and beach in the dessert free of charge!! Loved it and would highly recommend it! Myself and a group of friends stayed at this hotel for my 40th birthday. The 4 bedroom apartment was great and they even came and separated the beds for us, so that each lady could have her own twin or double bed. Great location and walking distance to the beach and loads of places to eat around. I would stay there again! This is our 2nd time staying there. It's perfect for families and big groups. 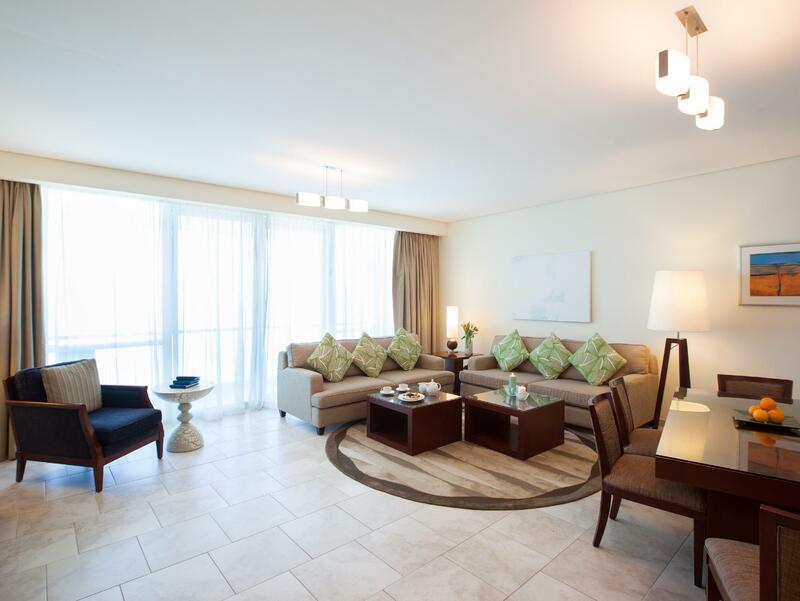 The location couldn't be any more center, it's really prime location right on the walk JBR. 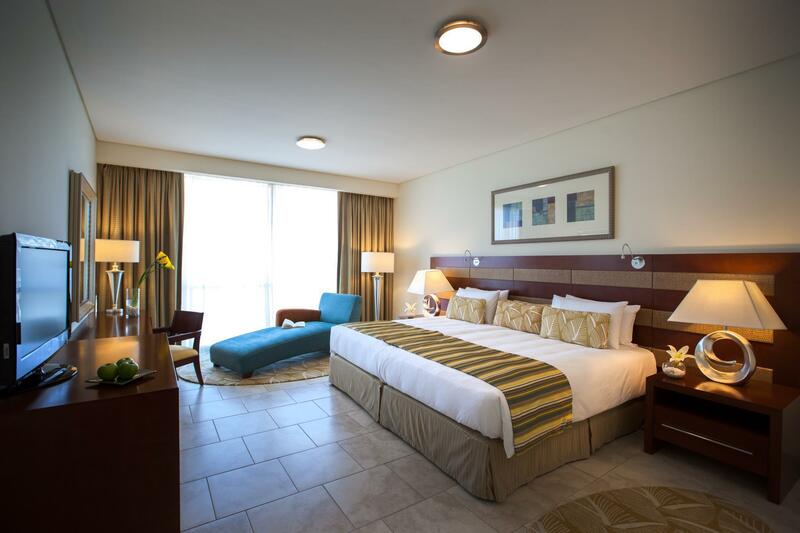 The rooms are spacious, with views of the sea. 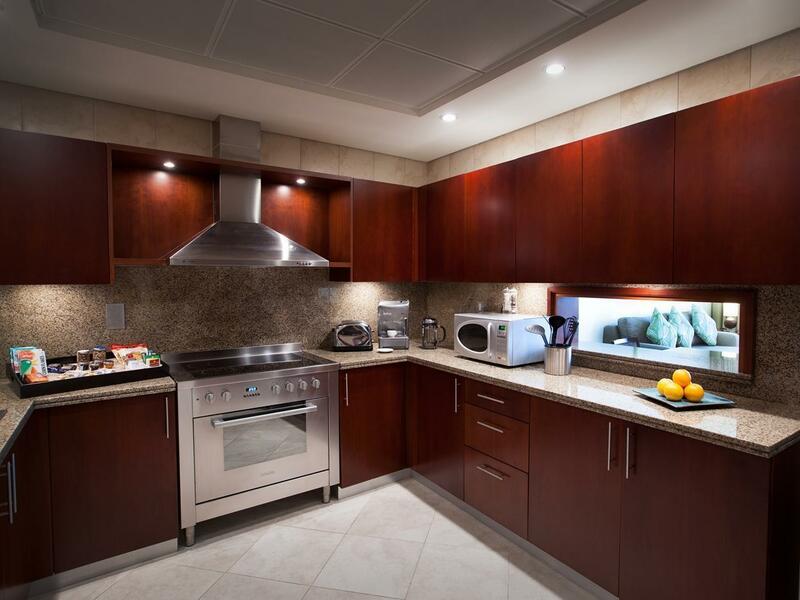 The kitchen has all the appliances you need for long term stay and has complimentary goodies to get you started. The only downside is the pool. It's small and crowded (packed with loud children),so if you plan to relax or swim properly, this is not the place. The bathroom tiles could be cleaned better, but overall, we're happy with this place. Please note, there is construction opposite the building, but it wasn't loud. Noise wasn't an issue for us. We were on the 48th floor, so it wasn't an issue. In fact, it was a nightclub that was an issue, playing loud trance music that went on pass midnight. Not the hotel's fault. สถานีรถไฟใต้ดิน Jumeirah Lakes Towers - ระยะ 1.03 กม.